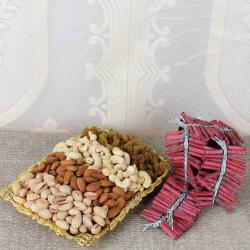 Product Includes: 500 gm Assorted Dry fruit Basket, 4 Earthen Diyas along with Diwali Greeting Card (Note: Product Design and Color May Vary). 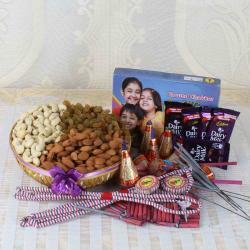 Giftacrossindia.com splendid celebration gifts idea for Diwali, you will experience hassle free diwali gifts online delivery to your receiver destination from our store. 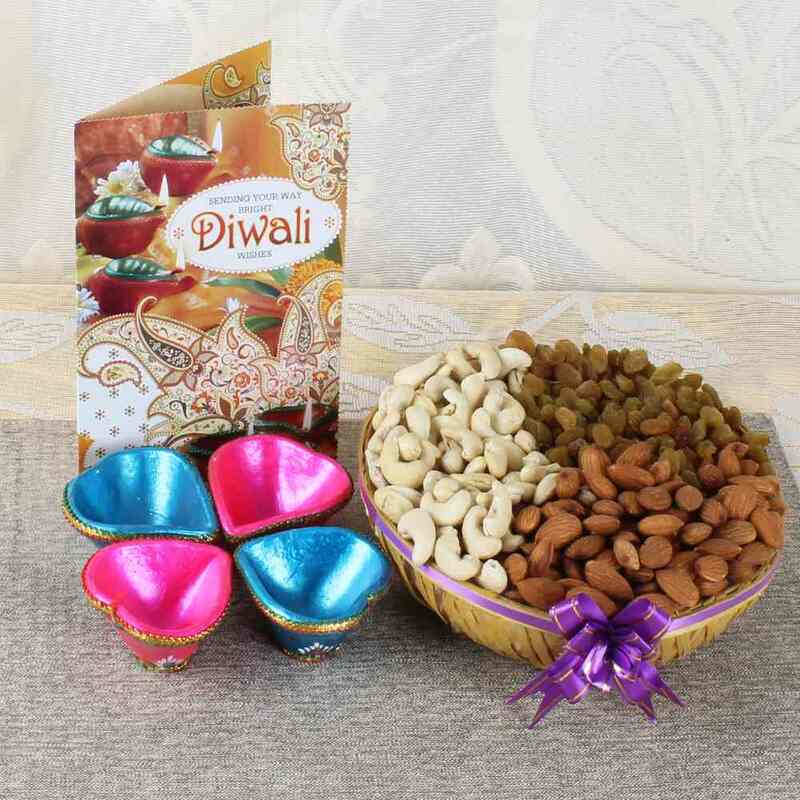 Celebrate the festival of lights by gifting Dry fruit, earthen diyas and Greeting Card to make your family members and close friends Diwali happier and brighter. 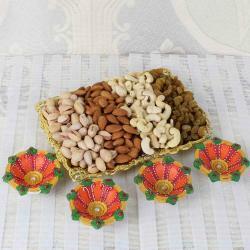 Dry fruit nuts are best gift for the Diwali, as no festival can be celebrated without the delightful and healthy treats and also Diwali can never be complete without diyas. Greeting card with warm wishes for your loved ones which is sure to leave them smiling. 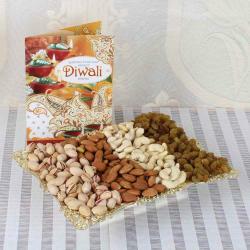 Product Includes: 500 gm Assorted Dry fruit Basket, 4 Earthen Diyas along with Diwali Greeting Card (Note: Product Design and Color May Vary).